Sizes EU 21/22 to 34. Genuine leather & leather lining. 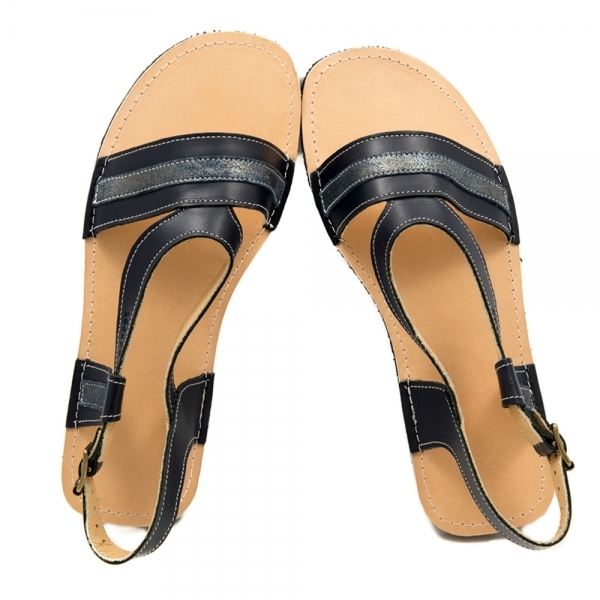 Closure: Shoe width around the ankle is regulated with velcro straps or laces - choose from the drop-down menu. We offer silicone laces as an additional option. You can order them here. Sole: 6 mm Vibram® Superflex. Your child can wear the shoes with or without socks. Insole: If you would like to order wool/leather insoles, please go to this product. The inner dimensions of this model are described in the table below.The foot length should fall within the range in column "RECOMMENDED FEET LENGTH". The circumference around the widest part of the toes should be equal to the numbers written for each size in column "MAXIMUM CIRCUMFERENCE (TOES)". We can customize the width of the top front leather part (+/- 1 cm), which is currently made by hand and the charge is €7. You can add this extra fee here. Customized products are not subject to our standard return policy. Column " SHOE WIDTH (TOES)" is for your reference only. Currently, we do not correct the sole width. Circumference arch - midfoot in cm.